In South Asia, India, Bangladesh, Bhutan and Nepal have established transmission links through which electricity is being traded. Opportunities for Cross Border Electricity Trade (CBET) in the region has amplified particularly that energy security has become a political priority for all the country governments. The recent developments favouring CBET in the region include signing of the Power Trade Agreement by Governments of India and Nepal as well as the signing of the SAARC Framework Agreement for Energy Cooperation (Electricity) in December 2014. These developments have already mobilized stakeholders for regional and sub-regional projects in the areas of power generation, transmission and power trade. 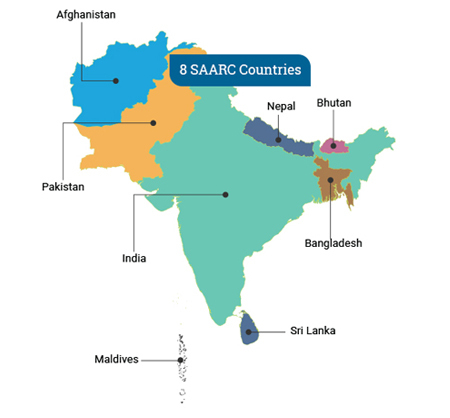 The gravitas for CBET in South Asia was further established when the second meeting of SAARC energy regulators held in February 2016 deliberated to constitute the “SAARC Council of Experts and Energy Regulators (Electricity)” and a “Forum of Regulators”. The SARI/EI phase IV is conducted by Integrated Research and Action for Development (IRADe) selected through a competitive process. During the five year program (2012-2017), IRADe and USAID are working towards promoting integration of energy systems and enhance Cross Border Energy Trade among the participating South Asian countries. The South Asia Regional Initiative for Energy Integration (SARI/EI) Phase IV, the final phase was launched in 2012 to further the earlier objectives i.e. advancing regional energy integration and increasing CBET. Over the last two decades, South Asia has been one of the fastest growing regions in the world, with an average annual GDP growth rate of six per cent. Large untapped hydro-power resources exists in Bhutan, India, Nepal and Pakistan. A combined hydro potential of 350 GW in the region offers a huge scope for tapping clean energy and addressing the chronic problems in shortage of electricity supply and its quality. There is a need to plug the increasing gap between demand and supply through the development of additional resources. This is possible by the optimum and efficient utilization of available resources, creating a level playing field, assuring returns to investors and providing affordable electricity to consumers, thereby making the region energy secure and self-sustainable.